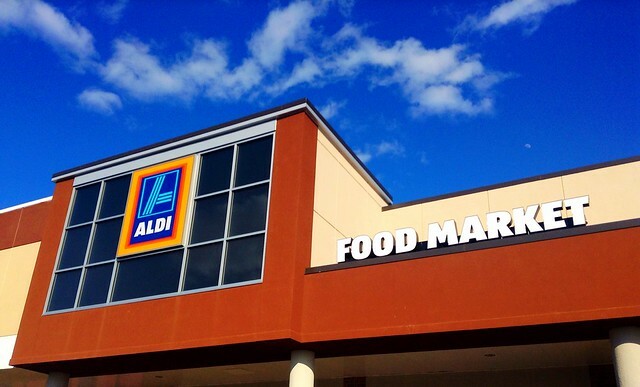 As we told you first, ALDI is planning on taking over the location of the now closed Giant Food store on Monroe Avenue in the Del Ray neighborhood of Alexandria, Virginia. I continue to get asked from from MANY people (Twitter, text, and email) about a rumor going around Del Ray that the ALDI Food Market has opted out of the deal to come to Del Ray. One thing that is fueling the rumor is that Giant Food’s lease on the building runs until January 31, 2016. Nothing can be done on or to the building until that time. I can confirm to you that the rumor is 100% FALSE. ALDI is still coming to the Monroe Avenue location as I have confirmed with ALDI’s attorney that ALDI has filed its building permit plans with the City and looks forward to opening the new store on Monroe Avenue. Previous articleJoin Sugar Shack’s Halloween Goat Scavenger Hunt 2015!